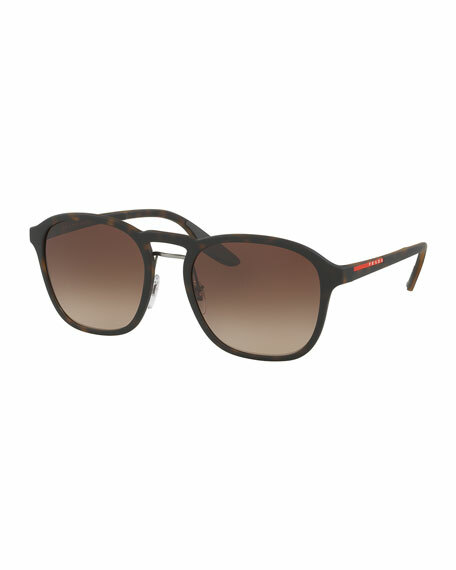 Prada Linea Rossa men's sunglasses. 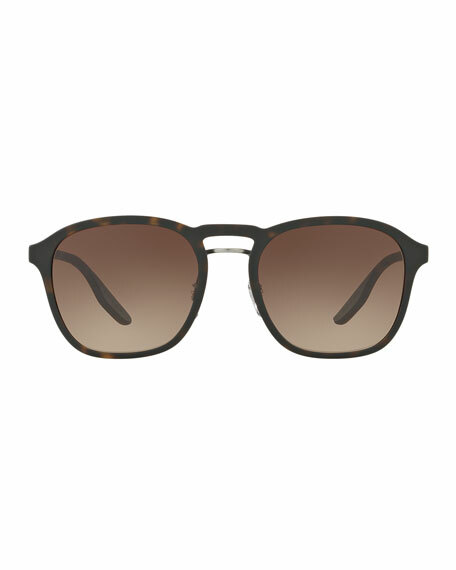 Havana propionate frames with rubberized finish. Double bridge with metal bar. For in-store inquiries, use sku #2186812.